UD & JOWIN have won them one of the largest cult followings in the Bollywood & EDM community and maestro of dance music. Our productions have also enveloped DJs and fans across the globe. UD & JOWIN’s remixes has gained huge popularity around the globe and are not only played in clubs at Dubai, Bombay, Delhi and all over but also on leading radio channels of India and abroad. UD & JOWIN plays almost all the genres of dance music but there love for house music and club music has led them to be most popular EDM Dj in the country. Our Bollywood remixes is on the top charts all around the globe. As technology continues to advance exponentially, We will be there to command its obedience. Fans, DJs, and critics alike can rest assure that with UD & JOWIN, “the best is yet to come". Dj UD & JOWIN Spins: Commercial Bollywood, Progressive House, Club, Dutch, Dubstep & Electro House. EDM!! 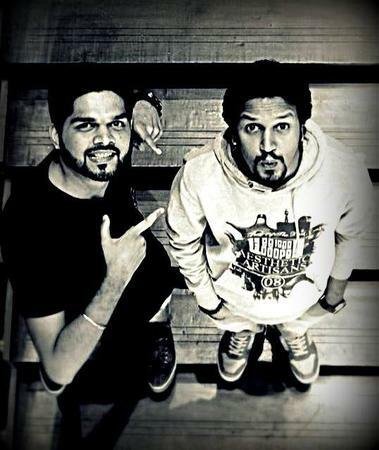 DJ UD & Jowin is a dj based out of Mumbai . DJ UD & Jowin's telephone number is 76-66-77-88-99, Facebook page is DJ UD & Jowin and address is . DJ UD & Jowin is mainly known for Wedding Reception, Sangeet, Cocktail and Other Social Events.. In terms of pricing DJ UD & Jowin offers various packages starting at Rs 0/-. There are 0 albums here at Weddingz -- suggest you have a look. Call weddingz.in to book DJ UD & Jowin at guaranteed prices and with peace of mind.